Suman More is a proud mother. Her son, L. More, has completed his bachelor’s in Arts and is currently pursuing his master’s degree. This did not come easily to Suman, a waste picker in Pune, India. Her parents had migrated to Pune from their village in search of work and began wastepicking. She started wastepicking with them when she was about 13 years old. Suman married at the age of 22. While Suman’s husband also contributed to the finances, their main source of income was waste picking. When Suman started work she would pick up recyclable waste on the roadside, in local waste depositories or public waste bins. She walked long distances and worked from dawn to dusk. Her children helped sort the waste at home because sorted waste offered a better price. In 1992-93, organizers of the KKPKP trade union of wastepickers came to Suman’s community to talk about the need to organize. They explained that the benefits of organizing included access to waste at source, fewer hours of work for the same amount of money, cleaner working conditions, and insurance. Many of her neighbours discouraged her from becoming a member but Suman decided to join KKPKP with a few other people in the community and has never regretted her decision. 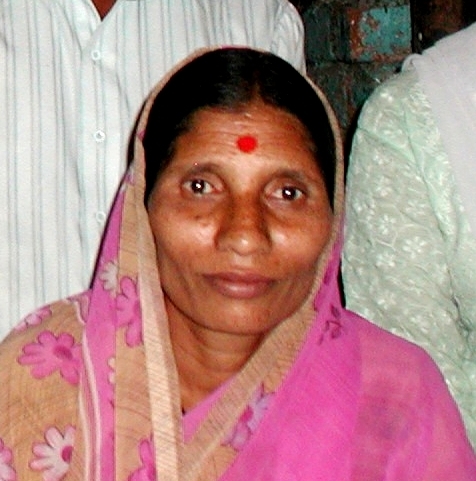 Since Suman began working with the cooperative, her working conditions have improved significantly. Suman now works fewer hours and earns more money by collecting waste door to door. The quality and condition of waste is much better and door to door collection has other benefits. Suman builds relationships with people and engages in conversation over a cup of tea. Coming from a lower caste and class of society she never thought this would happen in her lifetime. She is happy that she is able to have a proper lunch break and that they are provided with soap to wash their hands and legs before they sit to have lunch in a cool, clean place in the residential complex where she works. A higher income has also meant that she can afford proper medical care instead of self-medicating with the help of a pharmacist to avoid going to the doctor. Suman no longer takes the waste home to sort. The municipal corporation has provided a sorting shed where several waste pickers gather to sort their waste. Once she goes home, she has time now to watch some television to ease off the day’s hard work. As a member of KKPKP, Suman took an oath to educate her children, and enlisted the help of KKPKP to enroll her children in school. Two of her sons have received cash prizes from KKPKP for their achievements. Her daughter-in-law is a computer engineer from a Brahmin (upper caste) family for whom she wants to be a good mother-in-law. She married her daughter only after she turned eighteen and did not give dowry, she smiles proudly.